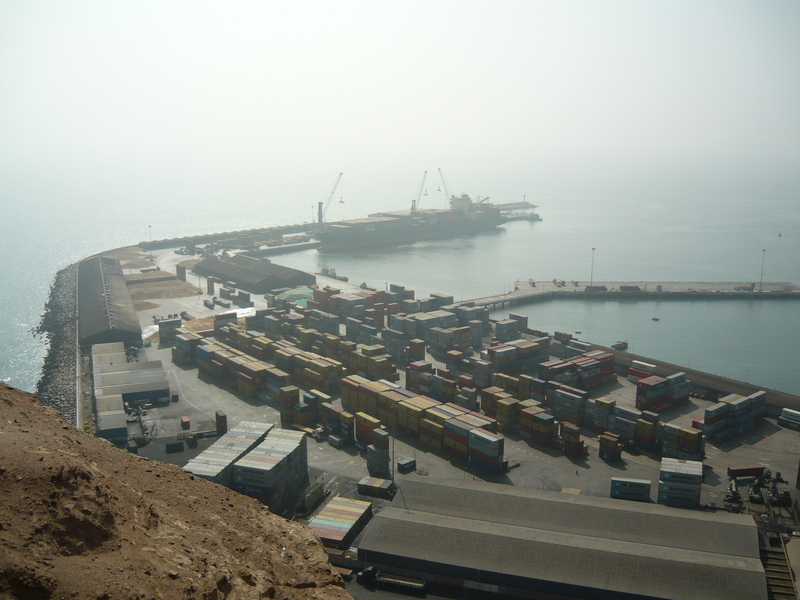 I arrived in Arica about 5.30am after a nine hour bus trip from San Pedro de Atacama. The hostel was supposed to be a 5 minute walk from the bus terminal. However, given that I had no idea which way to turn once outside the bus terminal and that it may not be safe at that hour of the morning, I hailed a taxi. Only 2,000 pesos (NZ$5.00) so well worth it. 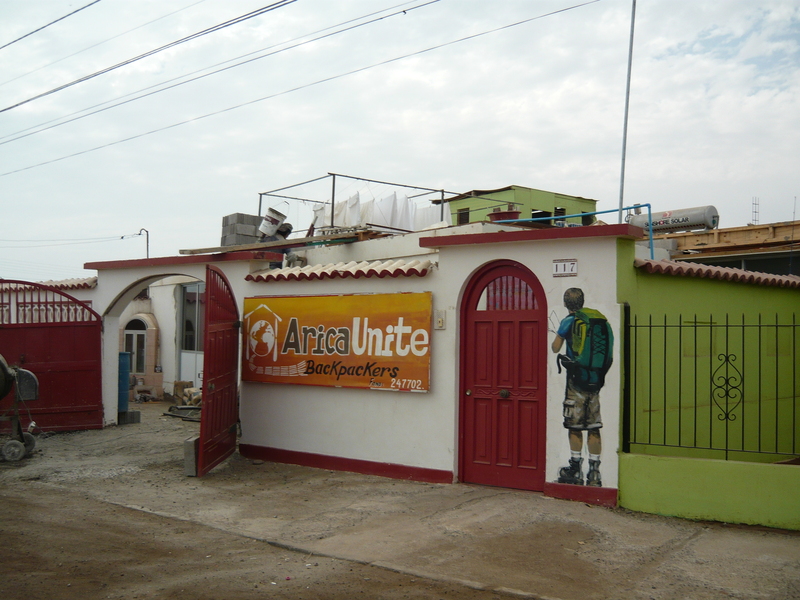 I was a wee bit dubious about where the taxi took me, however there was the sign “Arica Unite” which set my mind at ease. Sometimes the nicest hostels look really grotty from the outside. I rang the bell and waited for a bit and then a lovely lady greeted me. She showed me to my room (another top bunk! ), the toilets and went back to bed. I was in a four bed dorm which is smaller than the six bed dorms I have had previously. The hostel owners are a lovely French couple; Jenny and Nico. 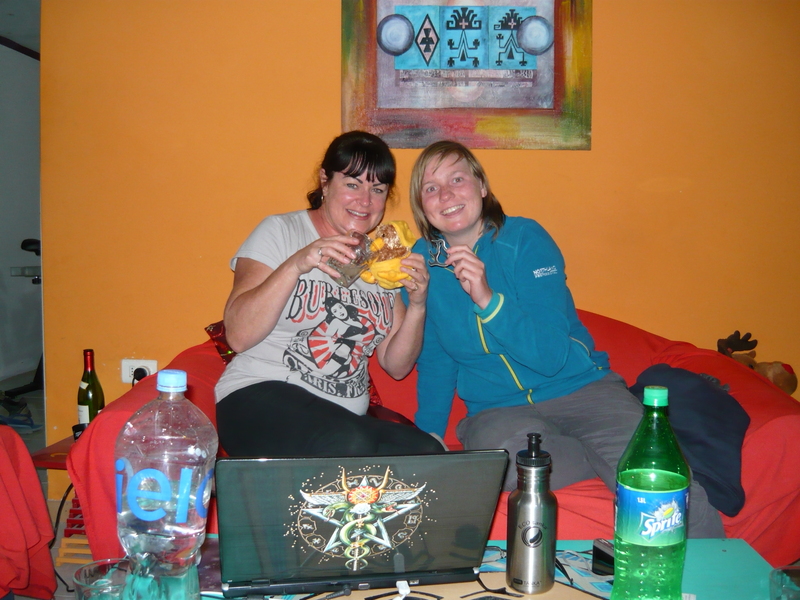 It’s a lovely laid back, quiet hostel and there are only about eight or so here at any time. It is a wee bit noisy at the moment because they are having some rooms added upstairs and a deck where they can serve breakfast. The breakfast is very basic…2 pieces of toast, butter, jam and coffee or peppermint tea, but hey it fills a gap in the morning. Didn’t venture too far from the hostel the day I arrived. Just down to the local market to get some veges, fruit, water and milk. I thought I would do a stir-fry. My experience getting meat from the butcher was interesting. I picked what looked like pre-packed schnitzel. I apparently didn’t pay him. He weighed it and gave me a ticket. I was then directed to the cashier. I then wondered where I went after that and two ladies behind me directed me onto yet another lady who took my receipt and gave me my meat! I have developed quite a bad chesty cough and decided tomorrow I would have to go in search of a Farmacia (pharmacy) to get some cough medicine. I got prepared and Googled how to ask for cough medicine – “medicamentos para la tos”. Love you Google translator! Wrote it in my notebook just in case I forgot how to ask for it. Drugs are soooo cheap over here a 120ml bottle of cough medicine cost only 1,400 pesos (NZ$3.50). We get totally ripped off in New Zealand for that kind of thing. Next day was nice and sunny and had Googled things to see in Arica the previous night. 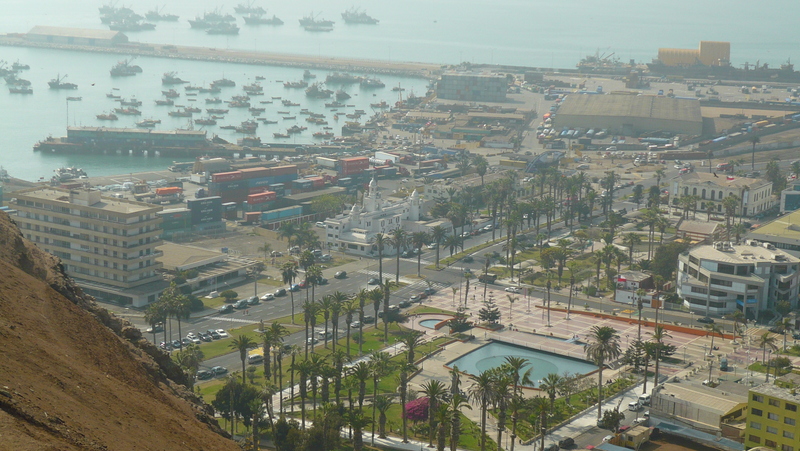 My mission was to climb up Morro de Arica which is quite a significant and much photographed feature in Arica. It took me about half an hour to walk there and found a street that led to the rather steep walkway up Morro de Arica. The first part was the steepest and the whole climb only took me 10 minutes. I have to say it was well worth the view of the city. Unfortunately Arica seems to have this kind of haze that hangs over the city even when it is sunny, but still a stunning view nonetheless. When I got back to the hostel, since it was Saturday night, I thought a wee wine would be quite nice. Off I set to find a bottle store, not difficult…bottle of Cabernet Sauvignon for 2,400 pesos (NZ$6.00). A bag of chips would be nice too. Not much of a choice…plain, plain or wow plain! They were rather expensive at 1,400 pesos (NZ$3.50). My night in by myself with my wine, chips and internet was short lived when two Belgium girls and a German girl arrived. Out came the pisco that we were drinking straight on the rocks! Arica is an olive growing area so were having olives with our pisco. I’m not a great fan of olives, but I am now hooked. These ones were delicious, nothing like the crap ones you get in a jar back in New Zealand. Great conversation…a bit of dancing and then hit the sack! Didn’t feel too good the next morning, because of my terrible cough of course…nothing to do with drinking a bottle of wine and I don’t know how many pisco’s! Had a whole day in the hostel just chilling and thinking I really should think about moving on. After all I had originally only booked in for two nights which has turned into five, including the morning of the night of the 18 July which I booked for. Had looked at a number of websites offering volunteer work. I gave up on it for now as they either wanted you for too long (about three months), I would have to detour off my roughly chartered travel path or they want people with a good level of Spanish. There is plenty of time yet if I do decide to pursue voluntary work. Last day in Arica and I went to the market just to get enough food for lunch and dinner. Then went for a wander down to the beach. Another very hazy day but pleasant at the beach. Sat there for a bit and updated my diary. Tune in for your next instalment in about five days. Do you rid off the cough? ?